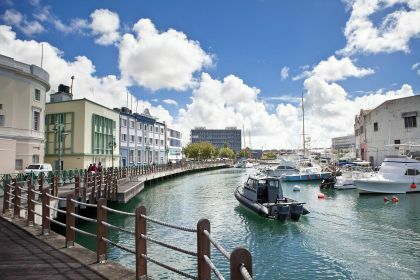 Fancy a bit of English flair with your Caribbean holiday? Then Barbados has your name on it. It's idyllic for a diverse yachting vacation, offering great shopping, colonial buildings and one of the Western Hemisphere’s oldest synagogues. And that’s before you even get to its phenomenal beaches, scuba diving and designer golf courses perched next to the ocean. 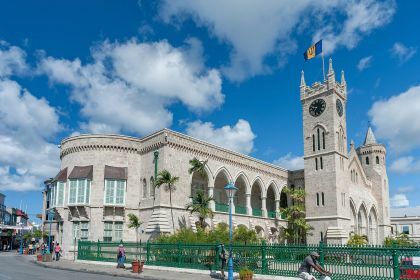 Located in the eastern Caribbean, Barbados is an independent island nation within the British Commonwealth, and so has a strong English flavour. You can even take afternoon tea and watch some cricket (the national sport). But don’t despair if cricket is not your thing: you can watch some horse racing, indulge in duty-free shopping in Bridgetown, play golf on any of the four ocean-side designer-planned golf courses, take in live music, or dance the night away at sizzling night clubs with top DJs… And when you need some downtime, taste some delicious coconut turnovers (a cross between are bun and a snack cake, and a favourite in Barbados), go fishing, swim, dive, or even learn to surf in Oistins (in the southern portion of the parish of Christ Church). If your tastes lean to jewellery and gem shopping, then head to Broad Street in Bridgetown, the Bond Street of Barbados. Here you can pick up prized Colombian emeralds at excellent prices at Colombian Emeralds International. This tax-free, duty-free shopping mecca also sells top-quality diamonds, tanzanite, morgatines, aquamarines, sapphires, and more. You’ll be sorely tempted to bring home much more than just memories from your Caribbean vacation. 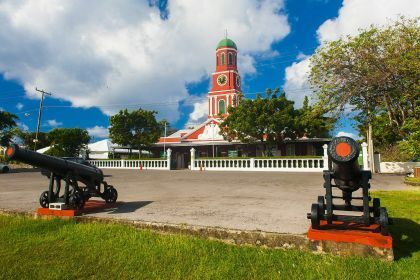 When in Barbados, follow your nose to its most popular towns: Bridgetown and Oistins. 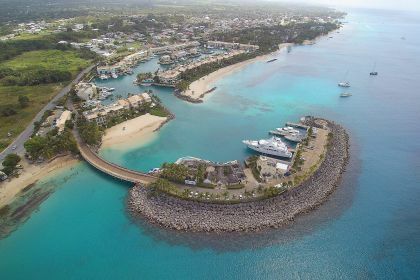 Bridgetown will impress with its shopping and Oistins with its fine-dining establishments. Oistins is also renowned for its Fish Fry, a local cultural event, which takes place every Friday and Saturday night at Oistins Bay Gardens. Excellent fish, (tuna, swordfish, marlin, mahi-mahi, flying fish), lobster, chicken and so on are served in an informal setting. You can get your fish grilled or fried depending on which vendor you choose from. It's all cooked on the spot in front of you. Another recommended foodie option is Chillin&Grillin, probably the best spot in Oistins. This is the place to try tuna, swordfish, mahi-mahi, flying fish or marlin with the traditional coleslaw, and the side dishes of rice, macaroni, peas or sweet potatoes. And when it comes to working off your dinner, have you ever thought of trying to surf? Barbados is an ideal spot for beginners to learn to ride the waves. Unlike many other water activities, surfing takes some time and effort to master, but with a good instructor, you’ll become adept in no time. Try Bodie’s School of Surf in Oistins for small groups, and focused and personalised attention. You will also leave with fantastic GroPro photographs to take home. Barbados is for fun-lovers and pleasure seekers. 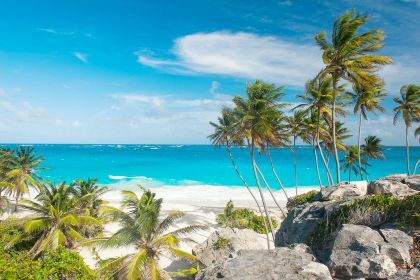 Whether you are ready to enjoy it yourself or share it with friends and colleagues, get in touch and let us help you plan an unforgettable trip to Barbados. Give us a call or fill out a charter enquiry form and we’ll get in touch as soon as possible.